Hamilton residents seeking pre-owned cars need not compromise on quality. A pre-owned BMW comes with unique advantages when purchased from a certified car dealer such as Budds’ BMW Hamilton. Budds’ BMW offers Hamilton residents competitive finance rates, extended warranty options and quality pre owned cars! Why Choose Pre-Owned Cars From Budds’ BMW Hamilton? With over 30 pre-owned cars available in inventory, Budds’ BMW Hamilton offers a wide variety of sedans, coupes, SUVs, and sports cars. In addition to a large selection of pre-owned cars, Budds’ BMW provides outstanding customer service from the moment you step foot in the dealership! Budds BMW also offers Certified Series Pre owned BMW vehicles which are thoroughly inspected and reconditioned to meet Budds BMW’s strict standards of quality and performance! Call today to book a comprehensive test-drive with one of our associates and experience the ultimate driving machine! 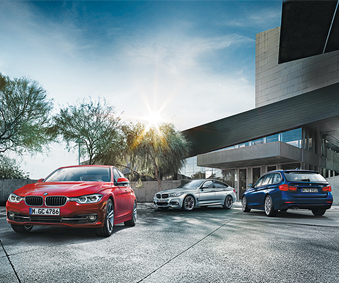 BMW has a long, outstanding history of creating exceptional driving machines with a wide range of features. Every BMW vehicle is a dedicated story of the technical innovation that goes into the production of each model. It’s not just the attractive design language, but the technical engineering of engine, drivetrain and suspension components that produce exhilarating and dynamic performance. Budds BMW Hamilton makes owning your dream BMW possible! If you’re searching for Pre-Owned Cars in Hamilton, be sure to drop by our Hamilton dealership and speak with an experienced representative today!